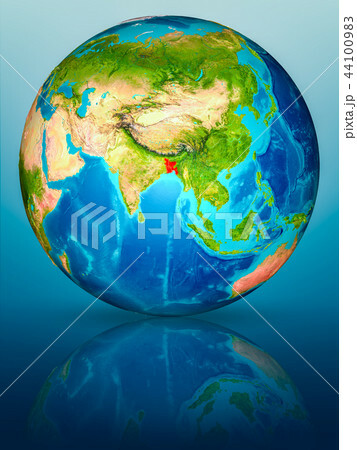 Bangladesh in red on model of planet Earth on reflective blue surface. 3D illustration. Elements of this image furnished by NASA.